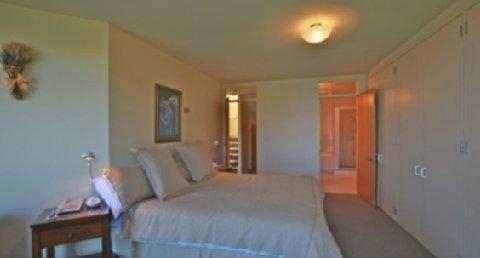 The apartments offer many conveniences, such as a heated pool and a sauna. 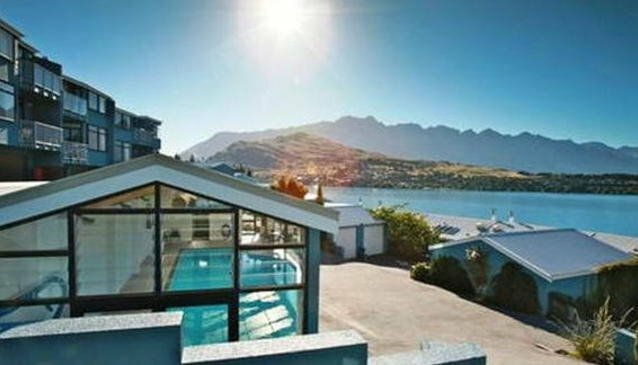 Guests will find that they are close to a variety of activities and attractions while staying at this Queenstown accommodation. 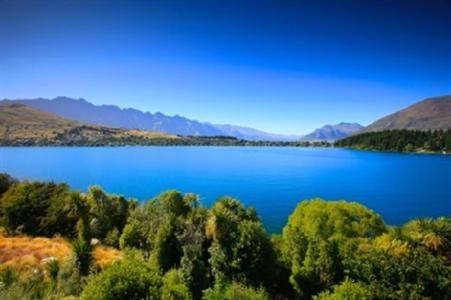 They will be able to ski, play golf at a nearby course, and more. 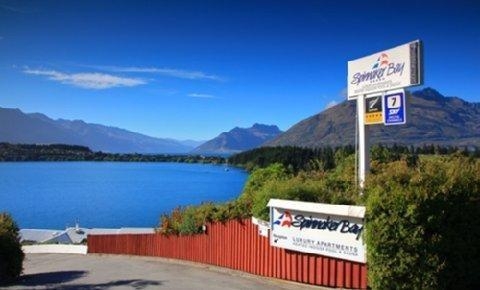 Spinnaker Bay Apartments Queenstown is also within walking distance of the town, where guests can shop and dine. 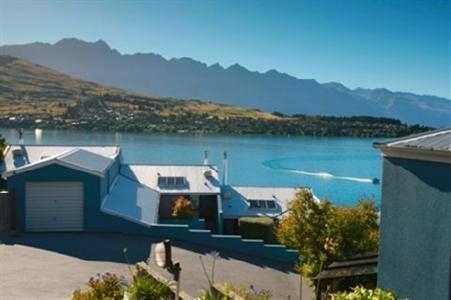 Spinnaker Bay Apartments Queenstown is located only a few minutes' drive from the airport, and guests will be able to reach the center of town with a short walk. 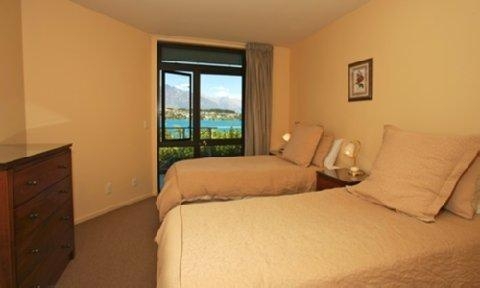 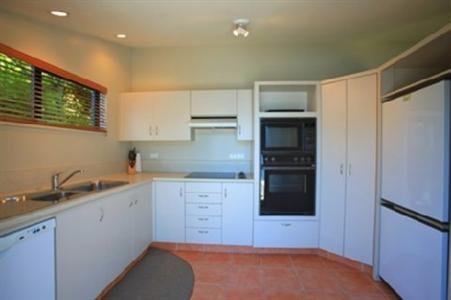 The accommodation located at Spinnaker Bay Apartments Queenstown feature many modern amenities. 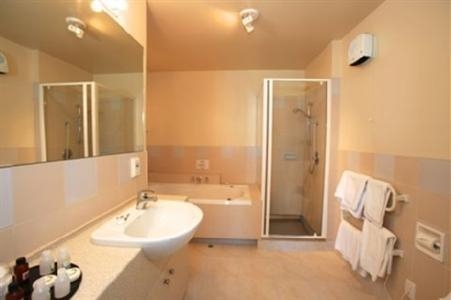 The apartments offer bathrooms as well as fully equipped kitchens, TV, CD and DVD players, access to the Internet, log fires, laundry facilities, and more. 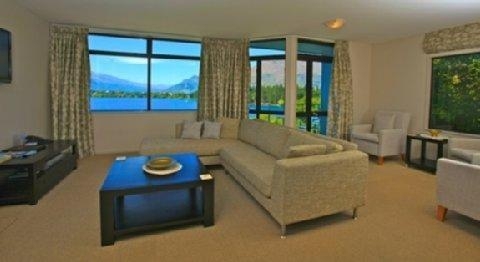 The rooms also have balconies. 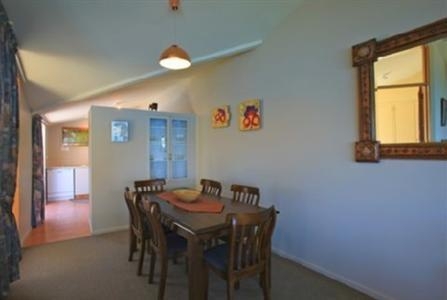 The apartments offer many conveniences, such as a heated pool and a sauna. 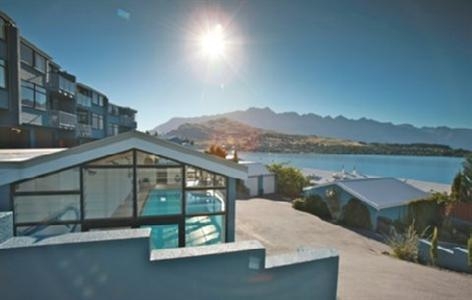 Guests driving to Spinnaker Bay Apartments Queenstown will be able to use the covered parking.